The United States Army organized a special unit comprised of 1,100 men. The mission of this unit was to pose as a bonafide military force many times this size in order to fool the enemy. One of the most notable tactical items used in this deceptive maneuver was the inflatable tank. Between the years of 1944 and 1945, the men assigned to the Ghost Army staged more than 20 different mock battles. The timeline of the battles stretched between Normandy and the Ruhr Battle that took place in the Rhine River Valley in the spring of 1945. The stakes were high during these mock battles, as many of them actually occurred within close proximity of the front lines. Part of the goal was to give the illusion of a greater Allied military force. 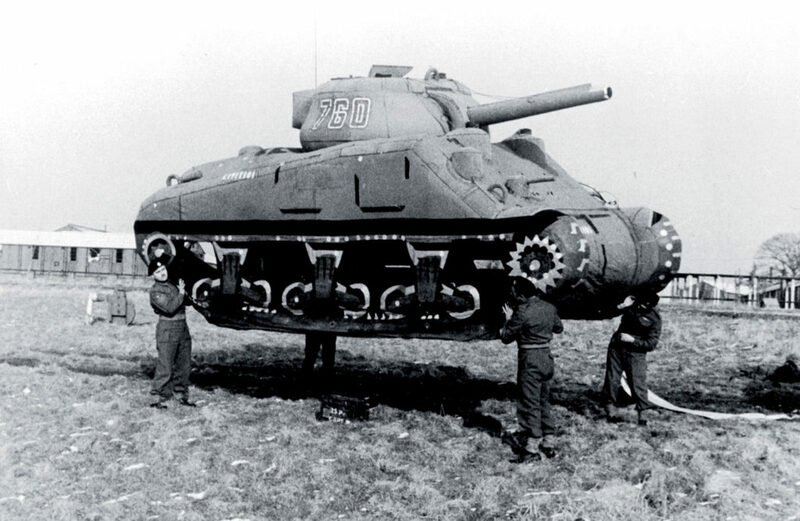 Some of the tanks employed by the Ghost Army were genuine while others were inflatable imposters. From a distance, the enemy could not tell the difference. Some of the troops even dressed to impersonate officers and Allied generals. With a constant flow of fake military radio chatter discussing fabricated battle plans, German intelligence easily fell prey to the deceptions. The 23rd Headquarters Special Troops holds a special spot in both military and inflatable history, having laid the groundwork for special operations still in use today. Contact Space Walk for any of your inflatable needs, whether you’re throwing a fake party or a real one.